His birth name was Kahsai Mrcha. He was born on July 12 1837 at Mai Beha Tembien. His father was Shum Tembien Mircha Woldekidan of Tembien. Mircha's mother Woyzero Workewoha Kalekirstos was the grand daoughter of Ras Suhulmikael Eskiyass of Adwa Where he traces his royal blood. Kahssai's (Emperor Yohannes) mother was Woyzero Silass Dimtsu, daoughter of Dejazmach Dimtsu of Enderta. Her mother was woyzero Tabotu Woldu Agame; sister of Dejazmach Sibagadis Woldu of Agame. So Emperor Yohannes on his father's side is from Timbien and Adwa. On his mother's side he is from Enderta and Agame. He defeated Wagshum Gobeze (Emperor Tekle Giyorgis) on July 11 1871 30 kms from the city of Adwa. 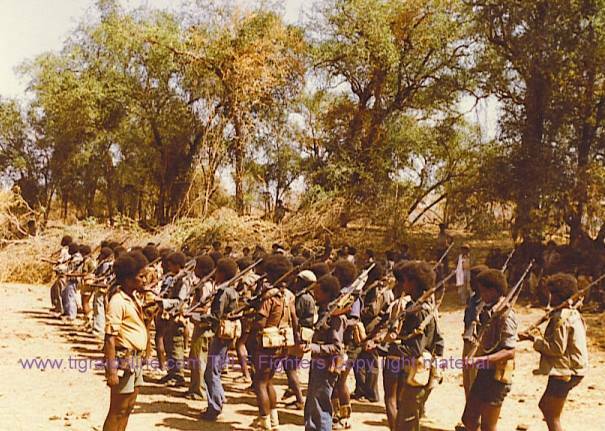 Gobeze had 60,000 troops and Kahssai had 12,000 troops. Gobeze's wife was kahssai's sister. Before the crushing defeat Gobeze's wife warrned him saying the following poem. Dejazmach Kassai was crowned emperor January 12, 1872 at the historic Tigraian city of Axum. He took the name and title of Emperor Yohannes IV, King of Zion and King of Kings of Ethiopia, becoming the first emperor crowned in that historic city since Emperor Fasilides in 1632. 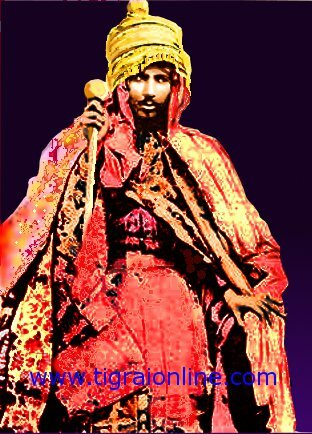 Emperor Yohannes was an extraondinary military leader and a very religous king. He was the top vangaurd of Ethiopia. On October 11 1875 Egypt occupied the city-state of Harrar and they were advancing from the port of Masswa on the north. Yohannes marched up north and met them at Gundet on November 16 1875. The Egyptians did not know the local area and they were fooled in to marching in to a narrow and steep valley and were wiped out by the Eperor's troops hiding on the valley from the surrounding mountains. Most of the Egyptian force, along with its many officers of European and North American background, was killed. He also defeated them again at the battle of Gura on march 9 1876. At the end he was betrayd by the shewan king, menilk who secretly signed an agreement with Italians to invade the country from the north in exchange of the crown. In 1889 Yohannes was battiling so many domestic and external enemies at the same time. The mahdists from sudan on the west, the Italians on the north, Menilk on the south and the Gojams on the south west. 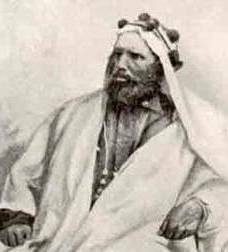 He decided to defeat the Mahdists from Sudan and he did, but at the end of the battle Mortally wounded by a sniper bullet he died after a few hours Battle of Metemma on March 9, 1889. Tigrai is the mother of all civilizations in the horn of Africa. It is the Source of the Geez fidel, Christainity and Islam. Tigrai is the land of Qdoos Yaryed, Axum, Yeha and Wuqro Negash. Tigrai is the land of dauntless Emperors such as: Ezana, Kaleb, Armaha, Abraha, Elamda, Almeda, ZeraYakob... Yowhaness; Ras Alula, General Hayelom and much more. Tigrai is The home of the Ark of the covenant, the land of the just, brave, free and fair. We have nothing to apologize, be sorry or fear for in our history, but we have everything to be proud of. Ras Alula Engida Equbi was born in Tembien, centeral Tigrai. Starting from a simple farmers family, he became the greatest African genral of all times. Serving under Emperor Yohannes IV, he scored so many brilliant military victories over many Ethiopian enemies. He has successfully defeated the Egyptians in Gundet 1875, Gura 1876, Aylet 1887, Senhit 1880, aganist the Mahdists of Sudan; 1885, Metema, aganist Italians; Sahati 1887, Dogali 1887, Amba-Alaje 1889, Mekelle 1896 and Adwa 1896. In all the above battles Ras Alula Aba nega shamed his enemies and made his people proud.